“…because of his importunity (tenacity) he will rise and give him whatever he needs. The readings for this 17th Sunday of Ordinary Time call to each of us to….PRAY. The message is clear. Christ calls, desires..expects His followers to be tenacious in prayer. As Christians we speak often of prayer. We read about prayer..study prayer..gather for prayer. Yet we oft fail to know the power of prayer because we are not tenacious in our faith. Christ provides all we need to be the tenacious, victorious warriors of prayer He calls for and commands. His Word will nourish our faith (Romans 10:17) and guide us into His will (Ps 119:105) so that we may pray with confidence (I John 5:14). Guided by His Word we then can know the Holy Spirit’s strength to persevere in tenacious faith and love. This tenacious prayer will bring us into the very Presence of God. Fighting past the doubts, fear and distractions of the enemy we can come to the Cross and receiving His Holy Body and Blood we can be nourished by Christ Himself. In His Eucharistic Presence we can know the power and love of His wounds of holy love. If there is a ‘secret’ of tenacious prayer it is to pray until one is in the Presence of Christ. For it is in Him we will find the strength, wisdom, guidance, healing, provision…whatever our need or desire it will be found in His way, His time, His place..in Him. very fears, doubts or obstacles that would hinder the love of Christ from being known. 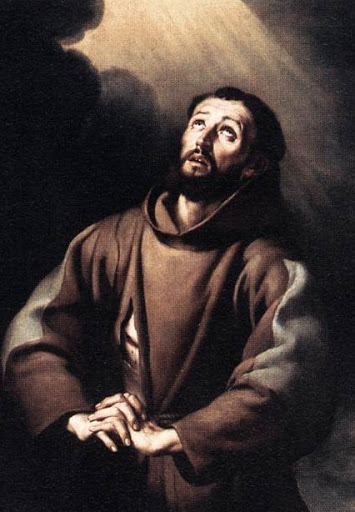 St. Francis of Assisi..prayed with tenacious love and faith. He would not allow failing health, eyesight, discord among his brothers form detering him from prayer. It was in his tenacious faith He experienced the fullest sign of gods’ love as he shared the very wounds of Christ.